Abyss Demolition is fully qualified and experienced to safely demolish high rise buildings. Our team has extensive experience in high rise demolition and can provide innovative solutions to suit each project. For high rise demolition work having a comprehensive plan of work, competent supervision and project management is crucial to ensure the demolition works progress safely. 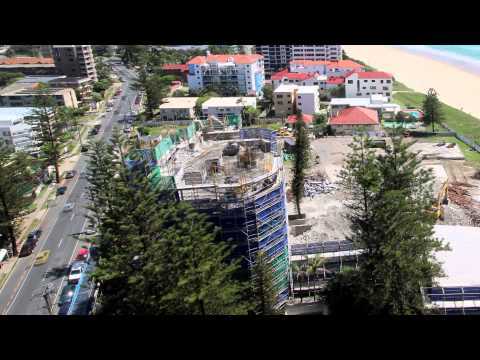 Abyss has previously completed the demolition of an entire 16 storey high rise demolition in Surfers Paradise. This project involved asbestos removal, engineering investigations, concrete testing, scaffolding erection and systematic dismantling, overhead gantry over the footpath for public protection, propping, craneage and mobile plant working on suspended slabs.